Vous ne connaissez pas votre niveau d'Espagnol? - You don't know your Spanish level? description of what learners have to learn in order to use a language for communication. almost all the most important languages. B1: Can understand the main points of clear standard input on familiar matters regularly encountered in work, school, leisure, etc. Can deal with most situations likely to arise whilst travelling in an area where the language is spoken. Can produce simple connected text on topics which are familiar or of personal interest. Can describe experiences and events, dreams, hopes and ambitions and briefly give reasons and explanations for opinions and plans. C1 : Can understand a wide range of demanding, longer texts, and recognise implicit meaning. Can express him/herself fluently and spontaneously without much obvious searching for expressions. Can use language flexibly and effectively for social, academic and professional purposes. Can produce clear, well-structured, detailed text on complex subjects, showing controlled use of organisational patterns, connectors and cohesive devices. C2 : Can understand with ease virtually everything heard or read. Can summarise information from different spoken and written sources, reconstructing arguments and accounts in a coherent presentation. Can express him/herself spontaneously, very fluently and precisely, differentiating finer shades of meaning even in more complex situations. Does it look too complicated for you? 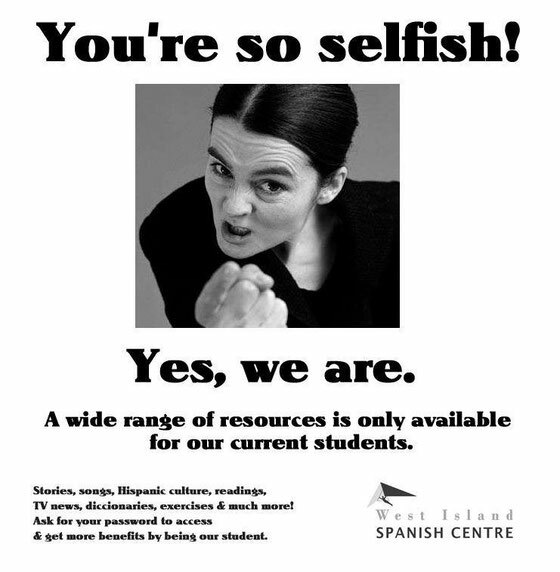 Don't worry: Learning Spanish will be very simply with us! Ça vous semble trop compliqué? Have you thought about importance of learning Spanish?